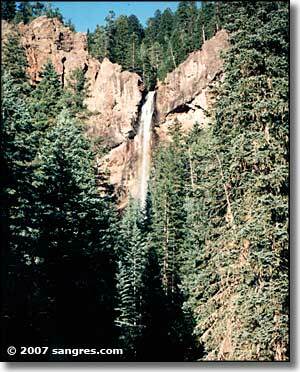 The San Juans cover 12,000+ square miles of southwestern Colorado, about an eighth of the state. The mountains are relatively new, geologically speaking, and are among the highest and most rugged in North America. Hundreds of San Juan peaks rise above 13,000 feet and many surpass 14,000 feet. One of the harsh realities of the San Juans for would-be climbers is the continual presence of rotten rock, knife-edge ridges and steep slopes covered with debris the size and shape of ball bearings. Another reality of the San Juans is they are reasonably remote from civilization. If you want to go hiking or climbing here, a weekend isn't enough time. That alone makes these mountains a lot less crowded than ranges closer to the cities. During the Laramide Orogeny (65 million years ago) southwestern Colorado was disturbed by heavy volcanic activity and the uplift of Uncompahgria (part of the Ancestral Rockies). 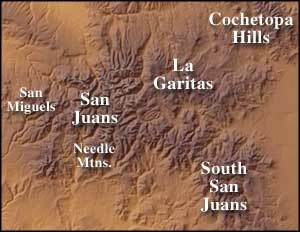 The San Juan area was then perhaps twice as high as it is today, though it was an elevated plateau rather than a mountainous area. Over time, the Ancestral Rockies were eroded away and, essentially, disappeared. About 30 million years ago another extended period of volcanic activity occurred, followed by a period of spewing volcanoes. Ash and lava from this period filled in the valleys and fissures in the rugged surface areas, leveling them. After the eruptions ended, the pools of magma under the earth's surface in this area shrank, creating spaces into which portions of the surface sank forming bowls, or calderas. The mountains we know now were formed largely by lava and ash from the volcanoes with the present valleys and canyons formed by erosion from glaciers, water and wind. 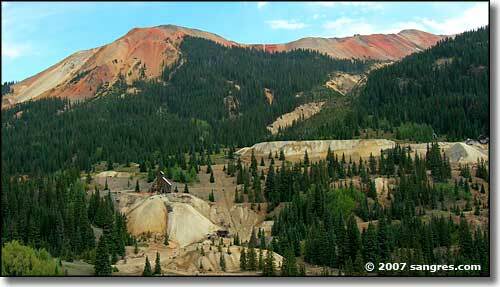 Some fine examples of this process are Wheeler Geologic Area, Red Mountain and the San Miguel Cirque. The San Juan Skyway, the Silver Thread and the Alpine Loop are Scenic Byways that make beautiful drives through these mountains.